Glossy bells of mouth-blown opal glass authenticate the antique inspiration for our Adjustables collection. Turn-of-the-century style and functionality combine in these impeccably manufactured fixtures, which deliver light exactly where it is needed most. 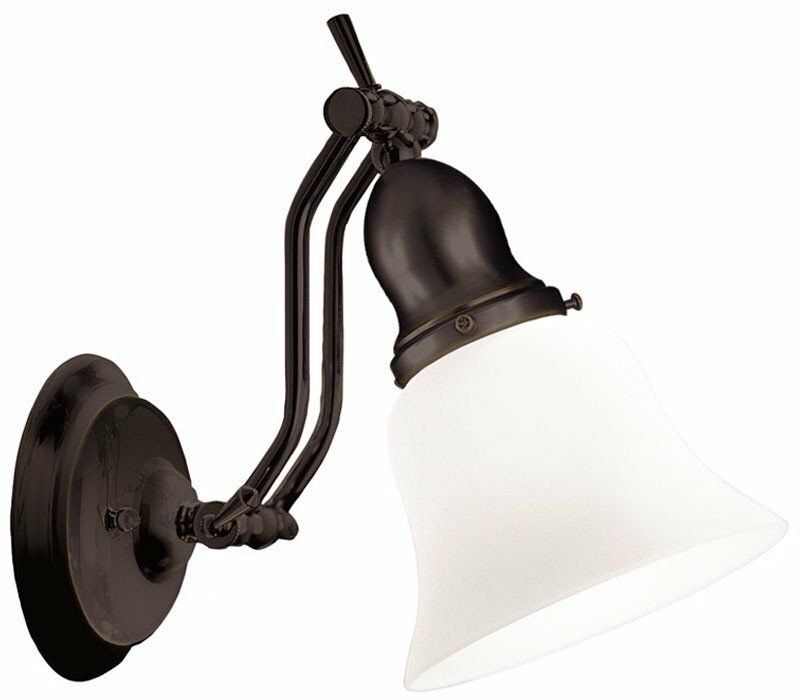 The Hudson Valley 341-OB Adjustables collection Vanity Wall Lighting in Old Bronze uses Incandescent light output and brings Antique style. 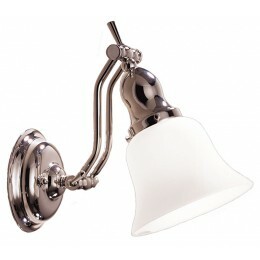 This item is 17"H x 6"W x 17"D. The total wattage is 100 and the voltage is 120 volts. The Hudson Valley 341-OB requires 1 bulb (not included). 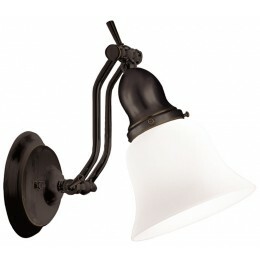 Additional Information: Shade-Mouth-Blown Opal Glass.